Silver- It’s the newest shade I’ve added to my makeup collection, and you should try it too. It’s metallic enough to add a daring dash of color to your eyes. This color pairs great with black, whites, cool tones and bright colors. I’m Obsessed and you will too! This color is so easy on the eyes but still adds a nice pop of vibrant color. It gives that unexpected kick or punch to your outfit and makes you look confident and not afraid to play with colors. The soft pastels and neon tones brighten up the most basic outfits. Great for spring and summer! Downsize for a day with more of a simple outtake in your outfits. Remember less is more, so work those outfits to feature one piece at a time. Some heels have so much personality, highlight them on a night out. It doesn’t get more outfit making than that. 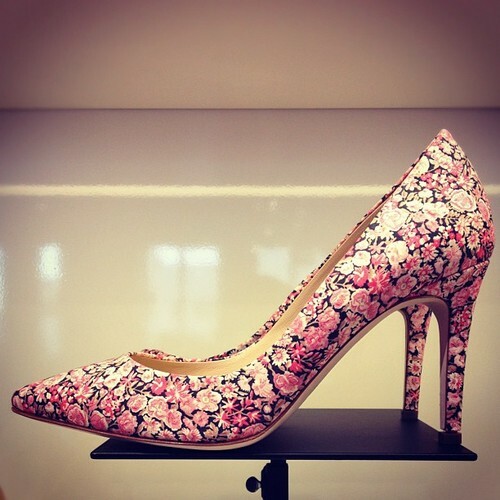 These Jcrew flowery pumps are just too good to be true!